We are the leading manufacturer, importer and exporter of Head Tailstock. By keeping track of the latest developments, we are offering a wide range of Head Tailstock. 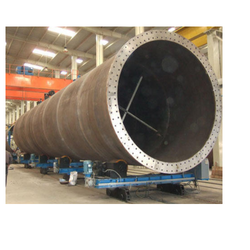 Our offered products are used as part of a Heavy fabrication industry. Along with that, this product can be customized as per the need of customers within a committed time frame. This product is tested on various parameters in order to make certain its flawlessness. 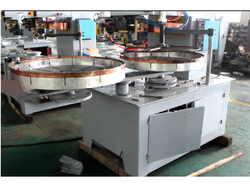 We are offering a wide range of Ring Welding Machine. Outer Ring welding machine is one of a new generation of machines and has been perfected after many design iterations. Backed by an adept and proficient team of experts, we have been able to offer Wind Tower Assembly Fit-up Equipment. Our provided tower assemblies are obtainable in numerous specifications as per the need of patrons. These tower assemblies are designed by using top grade material and modern techniques in compliance with market standards. Offered tower assemblies are valued among customers owing to its enhanced durability and excellent finish. As well, these tower assemblies are availed in bulk order within a given time to customers. 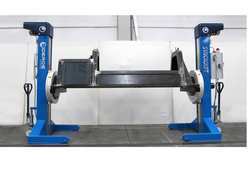 Looking for Heavy Manipulators ?